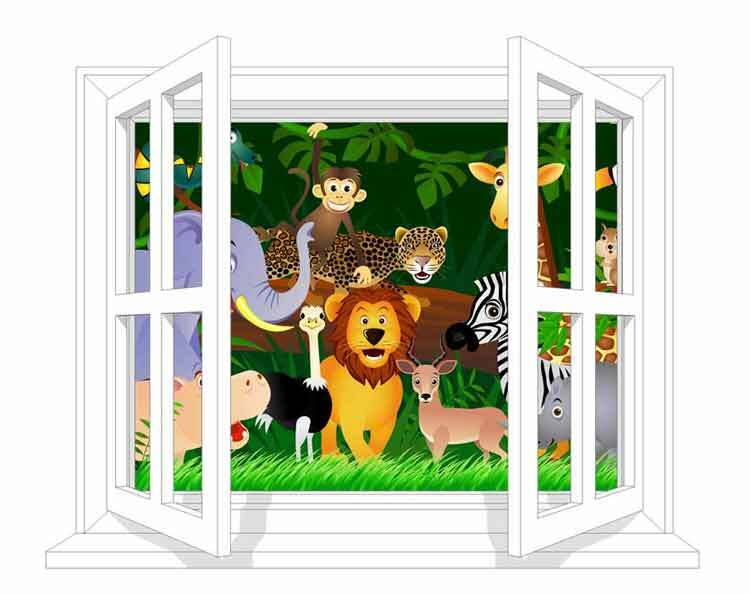 This is a large wall sticker that creates a scene of a window on the wall with various jungle animals looking in. 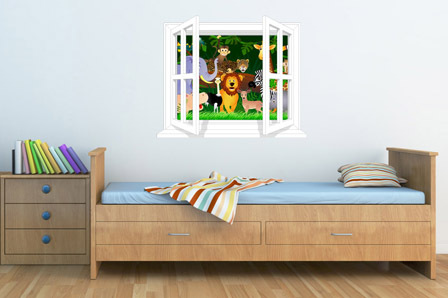 Ideal for small bedrooms, Kids love these window effects and are amazed because they look just like real windows. 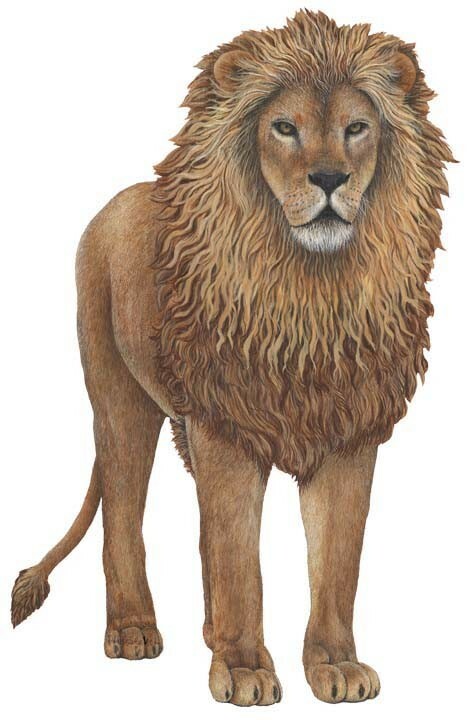 Therefore no paste and no glue. 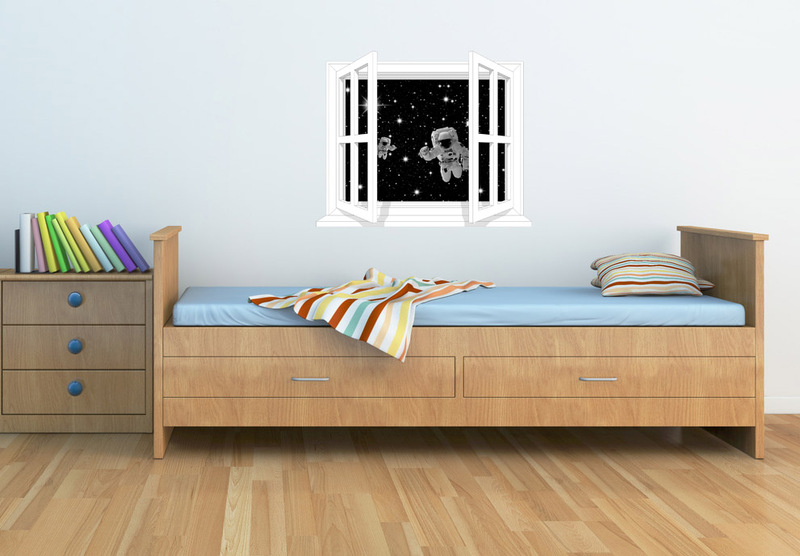 Installed in minutes giving an amazing effect. 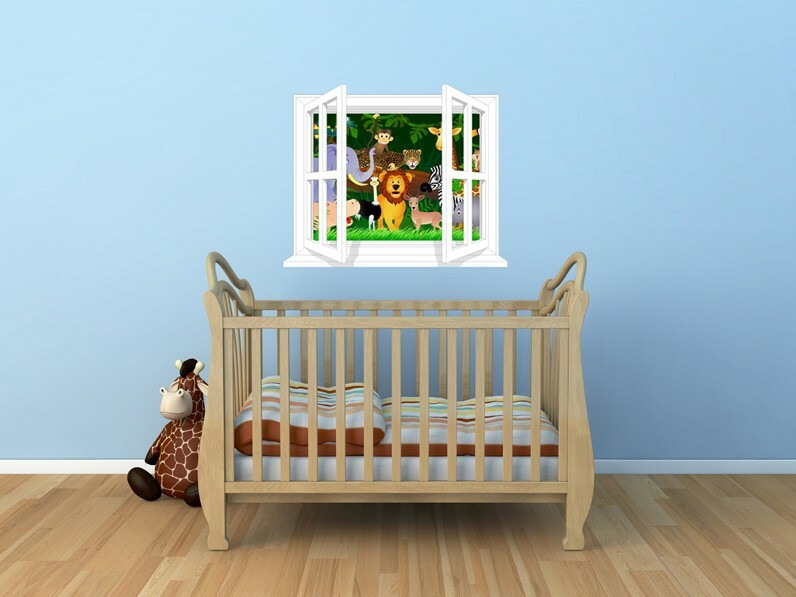 Ideal for a childrens Jungle bedroom, a great addition to our other childrens Jungle themes.